Not much to see yet, as this is only a teaser, but I’m sure a real trailer will be coming sooner rather than later. Although I don’t know why they waste their time, I’d be in line to see this film had I not seen a single image or clip. 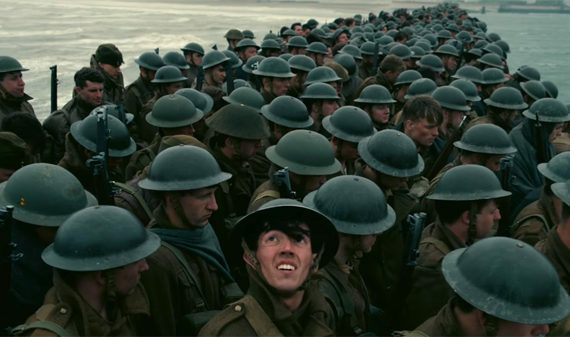 Nolan is a certifiable genius (Following, Memento, Batman Begins, The Prestige, Inception, Interstellar) and this cast looks incredible: Hardy, Murphy, Rylance, Kenneth Branagh, James D’Arcy who I really enjoyed in Master and Commander. Add in music by Hans Zimmer and the perfect setting of a WWII retreat; perfection.